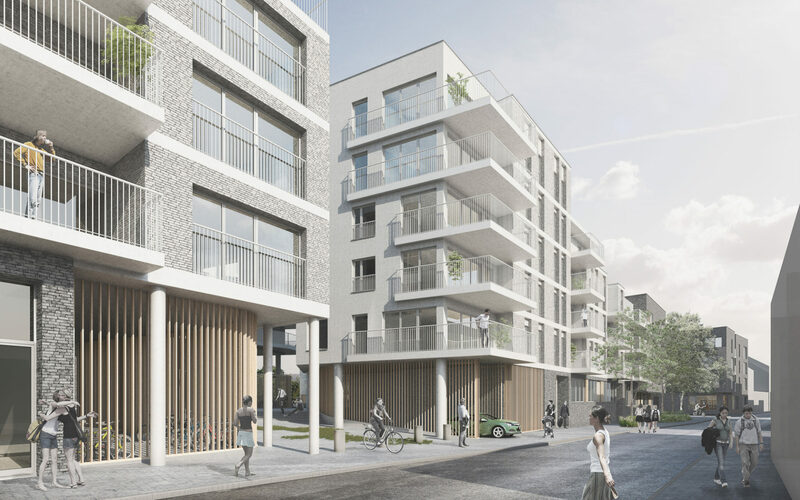 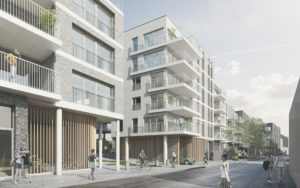 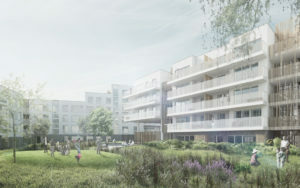 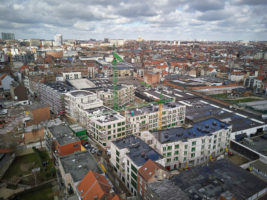 The 'Compas' residential project, which won the competition organised by Citydev.Brussels, is part of the urban renewal of the Canal Zone in Anderlecht. 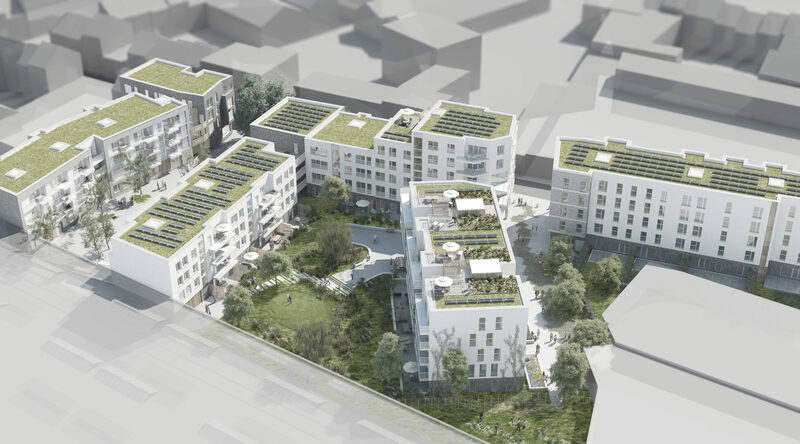 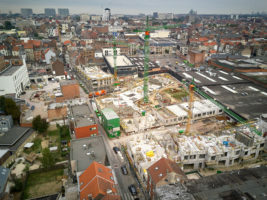 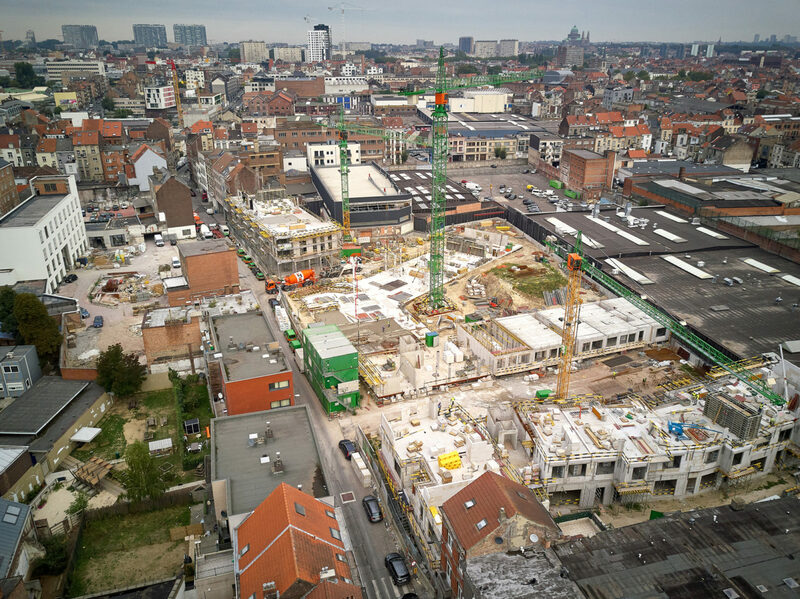 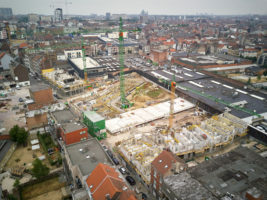 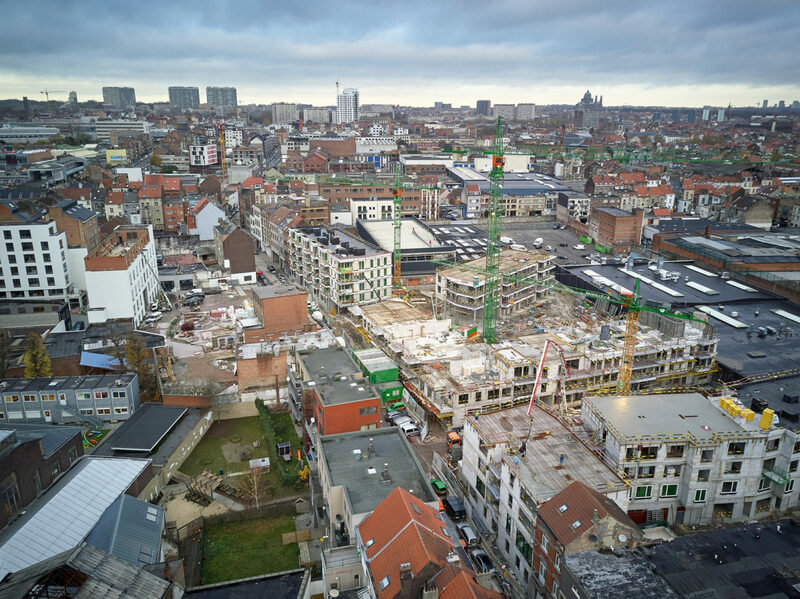 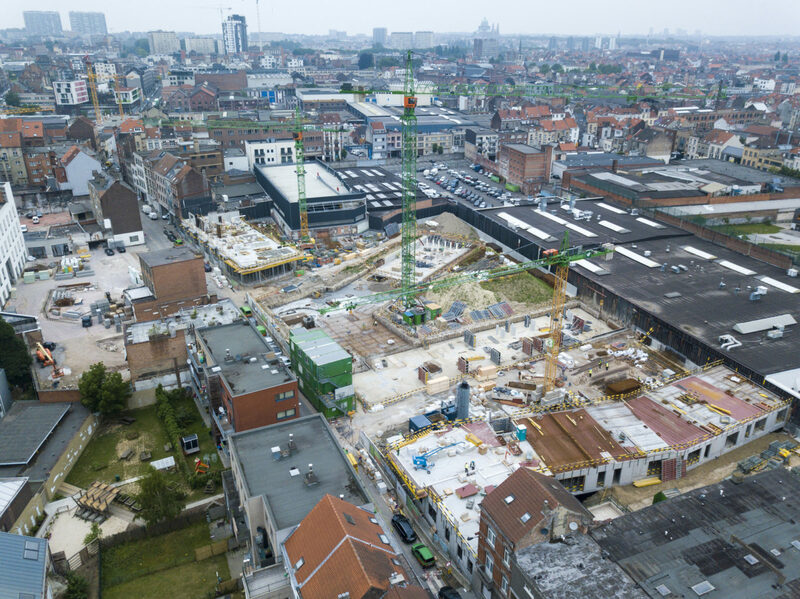 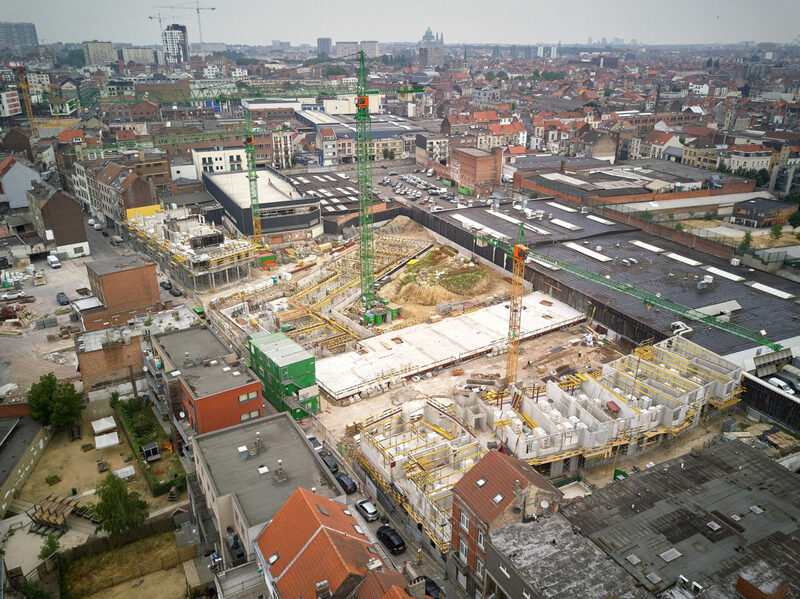 This former industrial district will be the site for six new buildings with a total of 129 subsidised housing units, 69 of which are for rental (SLRB, the Brussels Regional Housing Corporation) and 60 for sale (Citydev.brussels), a nursery, car parks, urban amenities and landscaping. 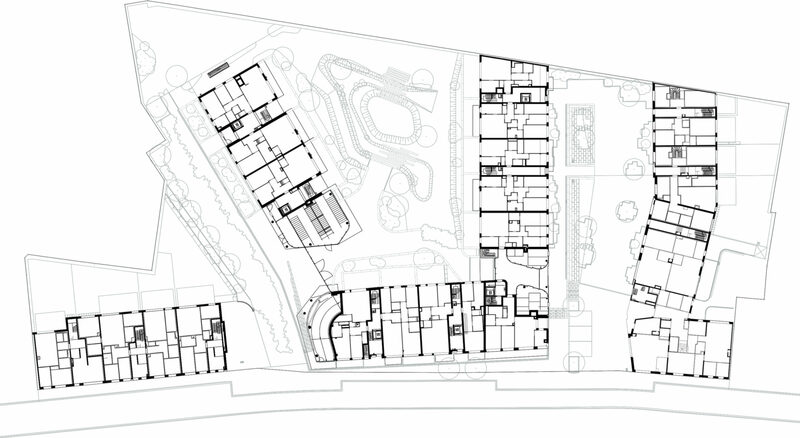 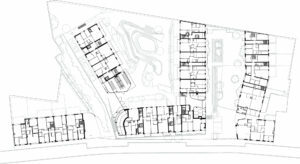 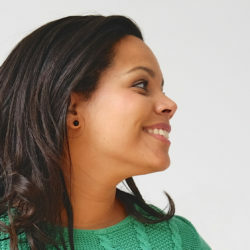 This housing, with very diverse configurations and sizes, will foster social diversity and meet passive energy criteria. 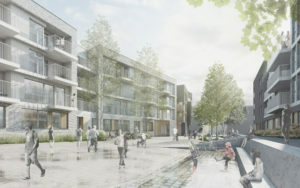 The interior of the block will consist of several public open spaces where gentler forms of mobility will be promoted. 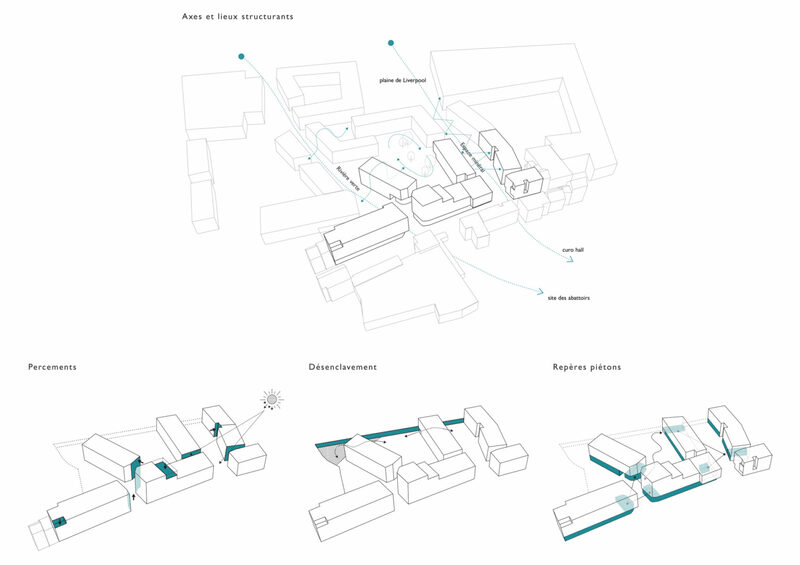 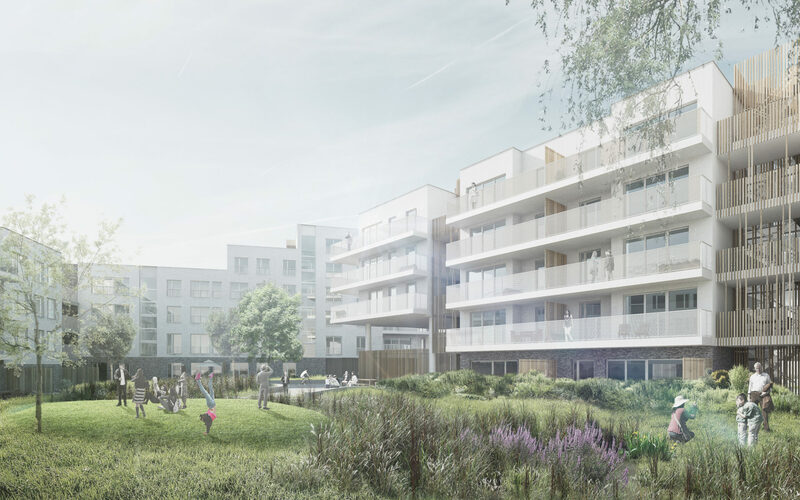 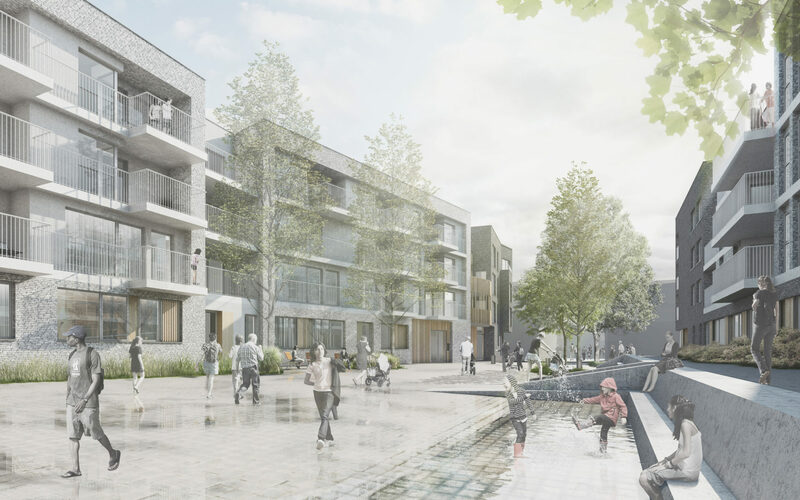 The project makes the most of the constraints of the site, the subdivision permit and the planning guidelines developed in the Lemmens neighbourhood contract (redevelopment of two streets and a landscaped open space in the context of enhancing the image of the neighbourhood). 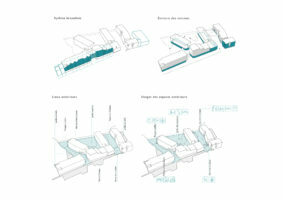 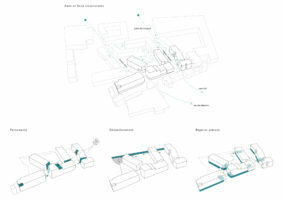 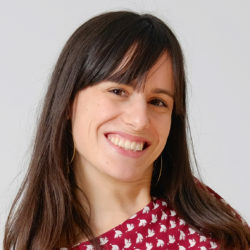 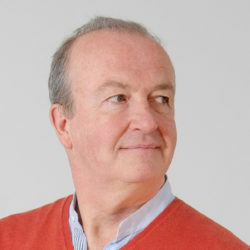 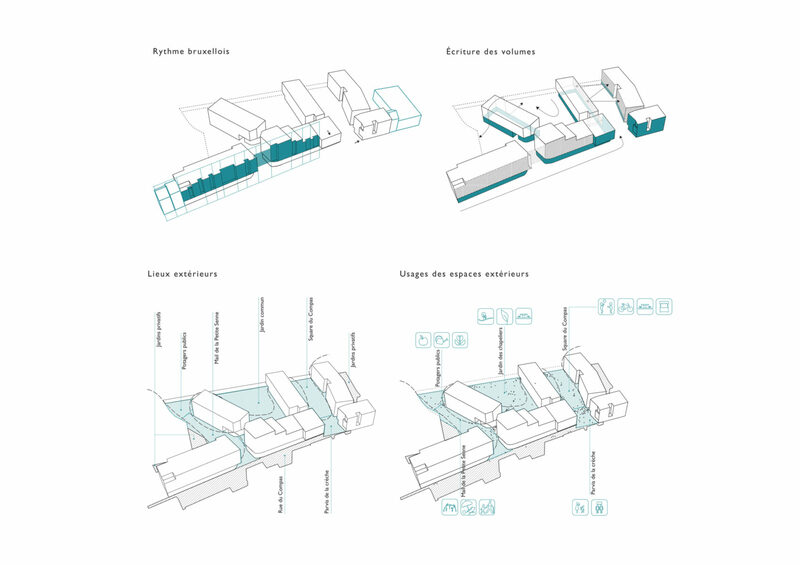 These three elements form the main guiding principles in the design of the volumes and the architecture.